Green Bay, Wis. – The Associated General Contractors (AGC) of Wisconsin has honored H.J. 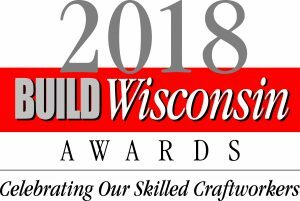 Martin and Son with a 2018 BUILD Wisconsin Award in the Specialty Contractor-Finishes category for its work on the Mulva Family Fitness and Sports Center at St. Norbert College in De Pere, Wis. This marks the 22nd AGC award received by H.J. Martin and Son since the inception of the honor in 2003. 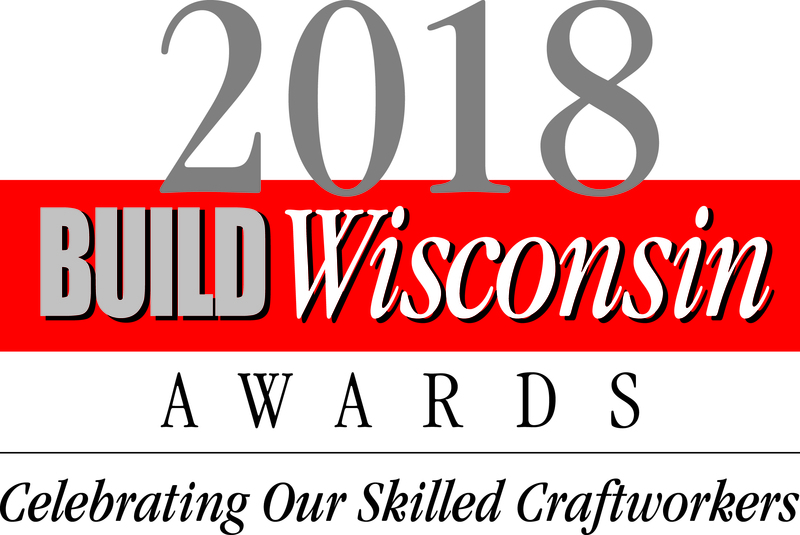 It also continues a streak of 11 consecutive times (2007-14, 2016-18) that the company has been recognized by the AGC of Wisconsin (the awards were not given out in 2015). The award will be presented to members of the H.J. Martin and Son team at the AGC BUILD Wisconsin Awards Ceremony, Oct. 18 at the new Fox Cities Exhibition Center in Appleton. The Mulva Family Fitness and Sports Center is an ultramodern complex devoted to fitness, wellness and athletics at St. Norbert College in De Pere, Wis. The 128,000-square-foot expansion and renovation wraps around the original facility, built in 1979, and features a competition-grade swimming pool, large fitness center, and weight-training and performance areas. Three H.J. Martin and Son divisions participated in the project: Walls & Ceilings, Glass & Glazing, and Commercial Flooring. 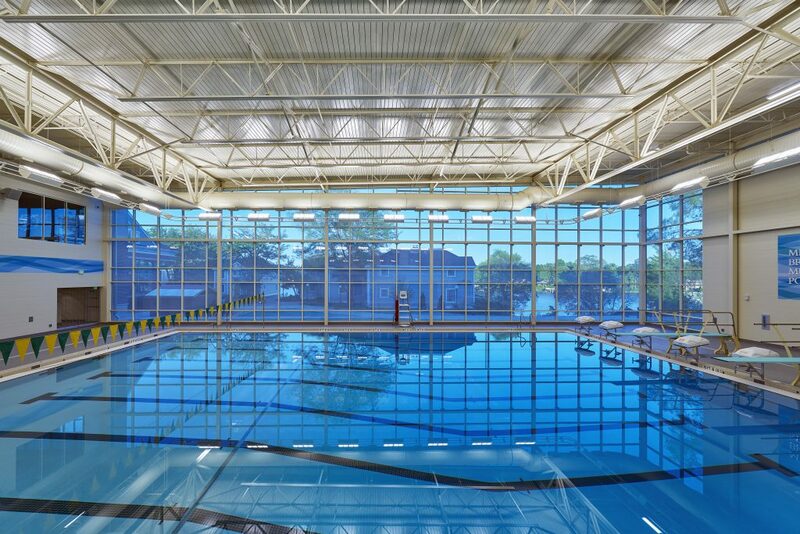 Commercial Flooring provided an extensive tile installation, including the swimming-pool deck. Walls & Ceilings handled exterior and metal-stud framing, drywall and ceilings replacement. The Glass & Glazing division successfully navigated tight spacing on the building’s east side to install curtain wall with a trapezoidal top, along with laying a Dot Frit silk-screen pattern on the glass surrounding the pool area for aesthetics and solar-control performance. H.J. Martin and Son owners Edward and Terri Martin also made a significant financial contribution to the construction of the Mulva Family Fitness and Sports Center. Its completion allowed St. Norbert to bring back its NCAA Division III swimming program; the school had not competed in intercollegiate swimming in a decade.